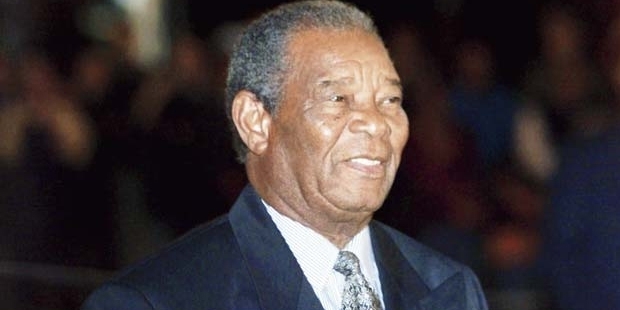 Garfield ‘St Auburn’ Sobers was born on July 28, 1936 at Bridgetown, Barbados. Sobers took interest in sports at a very young especially in games like football, cricket and basketball. But he began concentrating more on cricket when he was selected for the Wanderers Club team playing in the BCA (Barbados Cricket Association) league. Here he gained lot of experience by bowling to various senior players including West Indies Test player Denis Atkinson. He made his first-class debut at the age of 16 in January 1953. He impressed immediately by taking a 7 wickets over the span of two innings. This was the start of the one of the greatest Careers in cricket history. In his second first-class match, he was up against the touring Marylebone Cricket Club (MCC) from England. He was able to score 46 and 27 against an international team and also take two wickets in the match. This performance got the young Sobers a place in the national team after just two first-class performances. In his debut test in March 1954, he was able to score a total of 40 runs and take 4 wickets in the two innings. He got his next major chance against Australia where his new role was that of opening batsmen. For the first time Sobers played to his full ability and was scoring fours at will off Australia’s fastest bowlers. In 1955, he scored a total of 200 runs and took 8 wickets against Australia in the 5 match series. Now he had consolidated his place in the side as a batsman and part-time bowler. Sobers was a permanent fixture in the team but was unable to take his good starts and convert them into match-winning performances. From 1957, Sobers career took a huge upward curve as he was able to scored 2,250 runs in 24 tests at an average of 93.75 and that too without a century. He was able to score his first century against Pakistan in 1958, but went on to extend it to an unbelievable 365 not out. He reached his first three digit score by breaking the World Record of 364, set by Len Hutton 1938. He had become a prolific run getter, scoring 824 runs against Pakistan in the home series, and then scored 557 runs in against India in 1959. He went on to score 709 against England in a 5 match series in 1960. Then he scored 430 runs against Australia over three tests in 1961. Sobers had become the centre of the West Indies cricket team’s dominance of world cricket. He was made the captain of the side in 1965. He found immediate success with his team beating the Australia for the first time in a Test series (2-1). In 1966, when the team toured England, Sober went on to score 722 runs at 103.14, took 20 wickets at an average of 27.25 and also 10 catches. He had become the first all-round cricketer the world had ever seen. Under his captaincy, they were able to beat all the top international teams at that time including Australia, England, India, and Pakistan. He has been named the ‘Wisden Cricketer of the Year’ in 1964 and the ‘Wisden Cricketer of the Century’ in 2000. From being a multi-talented sports lover in his youth, Sobers has gone on to succeed in all aspects of cricket including batting, bowling, fielding and captaincy. He is considered one among the Best Cricketers in the history of World Cricket.